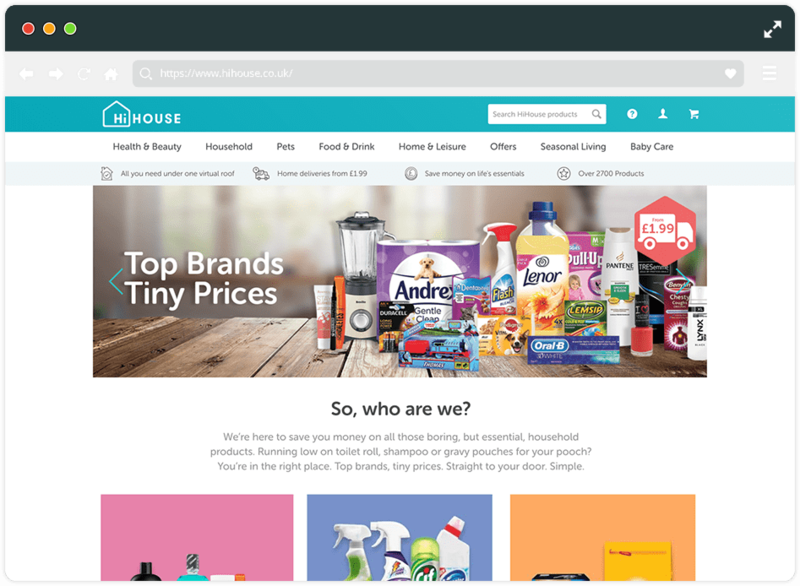 HiHouse are a B2C online retailer providing everyday essentials for less. Their products cover everything you need to run your house and range from toiletries and cleaning products to pet food and babycare delivered straight to customers. HiHouse were looking for a new Digital partner to support their newly launched Magento website. The objectives they had were to gain control over elements of their site which were not content manageable as well as improving the speed of the site. We provide monthly support to HiHouse, completing tasks to improve the functionality of the site. We have provided HiHouse with the ability to control many elements of the site which were previously unmanageable, this gives them the freedom to maintain the site content themselves, keeping it up to date and relevant. Fluid ran an audit of their existing campaigns to get an idea of user behaviour. Building a brand new Google Shopping feed, resolving product data issues causing product disapprovals in Google Merchant Center. We developed a very granular set of almost 60 campaigns covering all product ranges eligible for Google Shopping. We also fed back to the client about on-site optimisations based on initial data, as well as filtered out high volume of traffic/low sale products.